← 10months and having Summer Fun with Jennuine Designs! 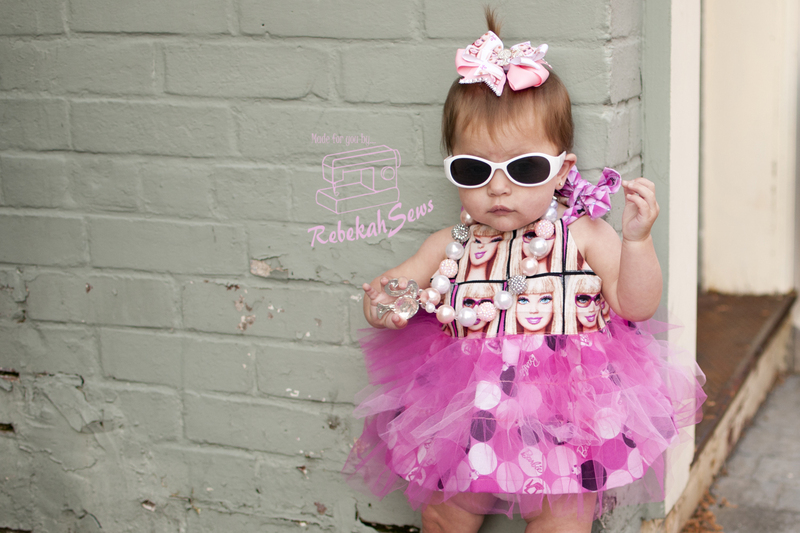 11months and being a Diva with Whimsy Couture! 11months! Almost a year old. I’m not ready! Ok, in reality it is so much fun seeing my sweet girl grow up. But on the other hand, losing my baby and gaining a toddler is bitter sweet. But I won’t get all mushy about it until tomorrow…So who are we celebrating with today? 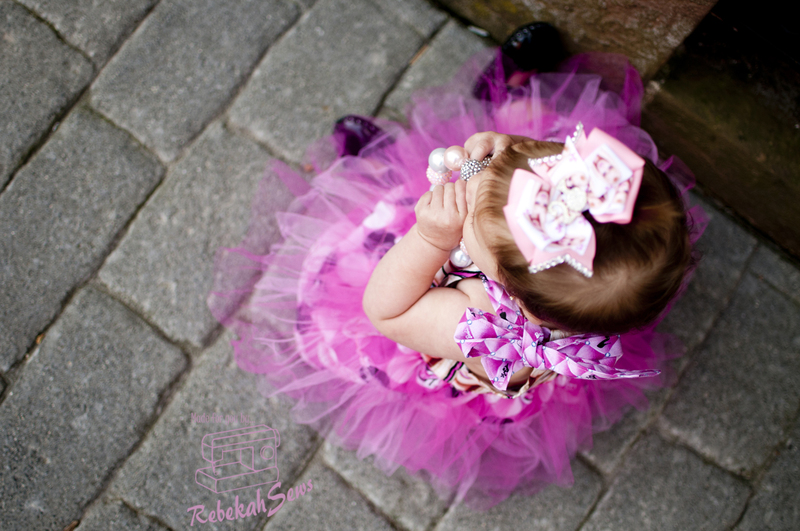 None other than Whimsy Couture and the Tulle Ruffle Dress! Let’s see the mischief Ruth is getting into first though! Ruth is really stepping into toddlerhood now. Literally! She stood on her own and that quickly progressed to her first step. Within two weeks she was walking more than crawling, although she still crawls when she needs to get somewhere quickly. She now has 5 teeth. She is refusing to drink from a sippy cup much to this mommy’s dismay. Crossing my fingers she gets the hang of it soon! No real words yet. She has this laugh that almost sounds slightly evil. She also knows how to work some games on the ipod. Can’t forget about music. Ruth loves dancing and making music of her own with her little piano and xylophone! Move over Barbie, there’s a new doll in town! When Denise first made the testing call for the Tulle Ruffle Dress I just knew that it would be perfect for the Barbie fabric I have been saving. It certainly came out just as I had imagined. This dress is a peasant style on top with a fluffy fun tulle skirt. The top is fastened with a long tie on one shoulder to tie into a pretty bow. The skirt features 3 tiers of tulle. I made mine out of two colors but you can do all one color, or even three! Go for a different look by making woven or even lace tiers instead! Included are sizes NB-12yrs. Save some paper too as the only pattern piece to print out is the armhole template! After the test the baby versions were lengthened so your final dress won’t be as short as mine. Either way I still love it!! Seriously this was baby girl’s best photo shoot by far! Guess what? This pattern is currently on sale on Whimsy Couture’s website for only $4.00. 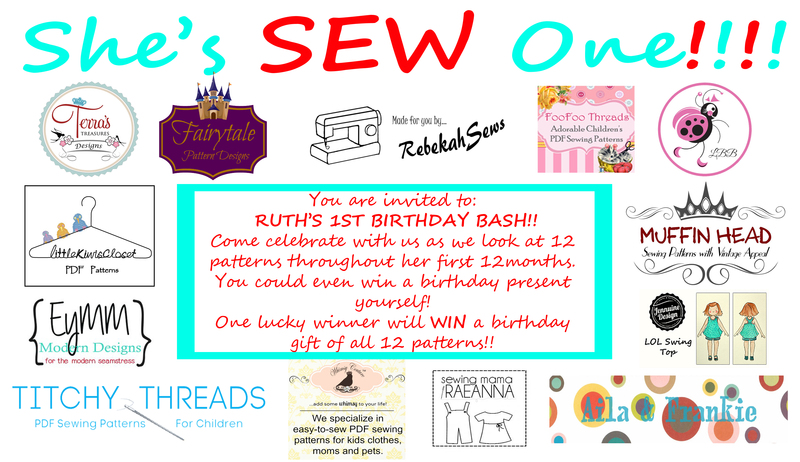 Of course don’t forget you can enter a Rafflecopter giveaway to win all 12 patterns featured in this series! Tomorrow baby girl turns ONE!!! You have to come back to see her never before seen 1st birthday photos! You might want to sign up for blog notifications so you don’t miss it!! !